Hewlett Packard - DW026A HP/COMPAQ- 36/72 GB DAT72 USB INTERNAL DRIVE 5.25 HH (DW026A). REFURBISHED. IN STOCK. SAME DAY SHIPPING. 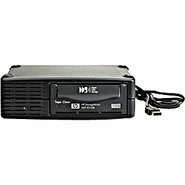 Hewlett Packard - DW022A HP/COMPAQ - 20/40GB STORAGEWORKS DAT40I 4MM USB INTERNAL TAPE DRIVE (DW022A). IN STOCK. SAME DAY SHIPPING. 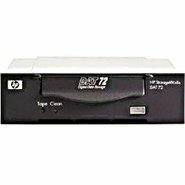 Hewlett Packard - EB625A-000 HP/COMPAQ - 36/72GB DAT72 ROHS USB INT BLACK BARE TAPE DRIVE (EB625A-000). NEW. IN STOCK. SAME DAY SHIPPING. Sony - AITE130-UL SONY - AIT2 USB2/FIREWIRE 50/130GB EXTERNAL 4/10 MBPS TAPE DRIVE (AITE130-UL). IN STOCK. SHIP SAME DAY. 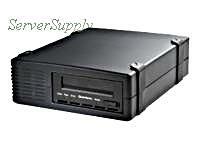 IBM - 46C5399 IBM - 36/72 NEW WITH 1YRS MANUFACTURER WARRANTY DDS 5 DAT USB 2.0 HH INTERNAL TAPE DRIVE (46C5399). IN STOCK. SHIP SAME DAY. 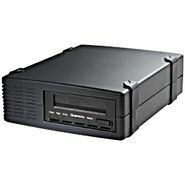 Exabyte - 3613-DAT EXABYTE /TANDBERG - 80/160GB NEW WITH 3YRS MANUFACTURER WARRANTY DAT160 USB HH INTERNAL BARE TAPE DRIVE (3613-DAT). IN STOCK. 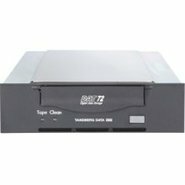 Quantum - CD160UH-SB QUANTUM - 80/160GB DAT160 USB2.0 HH INTERNAL TAPE DRIVE (CD160UH-SB). NEW RETAIL WITH 3 YEARS MFG WARRANTY . IN STOCK. SHIP SAME DAY. 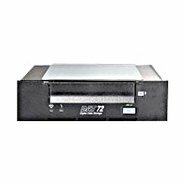 Hewlett Packard - AG428A HP/COMPAQ - SMART BUY 36/72GB DAT72 USB 2.0 EXTERNAL WITH 4-DAT72 CARTS (AG428A). IN STOCK. SAME DAY SHIPPING. 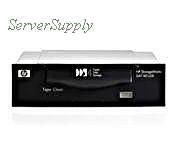 Hewlett Packard - Q1580SB HP/COMPAQ - 80/160 GB DAT160 USB INTERNAL HH TAPE DRIVE(Q1580SB). IN STOCK. NEW WITH 3 YRS MFG WARRANTY. SAME DAY SHIPPING. 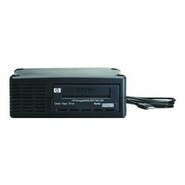 Quantum - CD160UE-SST QUANTUM - 80/160 GB DAT160 HI-SPEED USB EXT HH DESKTOP TAPE DRIVE(CD160UE-SST). NEW WITH 3YRS MFG WARRANTY. IN STOCK. 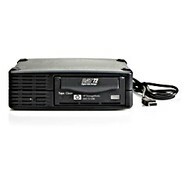 Hewlett Packard - AJ825A HP/COMPAQ - 160/320GB DAT 320 USB INTERNAL TAPE DRIVE(AJ825A). NEW. IN STOCK. SAME DAY SHIPPING. IBM - 39M5636 IBM - 80/160GB DDS-6 DAT 160 USB INTERNAL HH TAPE DRIVE (39M5636). NEW. IN STOCK. SHIP SAME DAY. 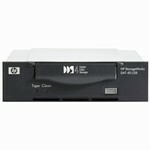 Hewlett Packard - AJ823A HP/COMPAQ - 160/320 STORAGEWORKS DAT320 EXT USB TAPE DRIVE (AJ823A). NEW WITH 3 YRS MFG WARRANTY. IN STOCK. SAME DAY SHIPPING.